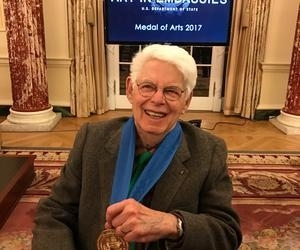 Although Kahn didn’t win the same accolade President Barack Obama surprised Joe Biden with on Thursday, the master of vibrant oil paint and pastels received a hefty honor the same day: the U.S. State Department’s International Medal of Arts. Kahn, who divides his time between Brattleboro and New York City, was one of six artists recognized by the Art in Embassies program for loaning work to American diplomatic outposts around the globe. The medal caps an equally far-reaching journey by Kahn, who was born in 1927 in Germany, only to flee his homeland on a “Kindertransport” train that saved Jewish children before the start of World War II. Settling in New York City, he entered the High School of Music and Art in 1942 and the Hans Hofmann School of Fine Arts in 1947, then began his career in 1951. Kahn joined the Art in Embassies program upon the urging of Jane Monroe Goelet, the wife of the late Llewellyn E. Thompson Jr., ambassador to Russia during the Eisenhower, Kennedy and Johnson administrations. Kahn can’t name all places where he has loaned his canvases. Kahn has a sense of humor as shiny as his medal. I know it’s not gold because I bit it and nothing happened. They have better things to spend tax money on. But when you have a medal hanging around your neck, people take you seriously,” he says. 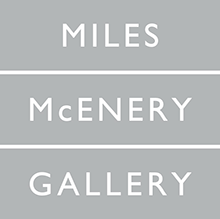 So much so that the Brattleboro Museum & Art Center is preparing a major summer exhibit of his work in anticipation of his 90th birthday Oct. 4. The artist himself might argue with that. But wherever his whereabouts, he keeps creating.